Schleich Lisa's Tournament Training 42433 - Toys & Learning - Schleich Specialists - 100% - Fast Service - Sale Prices. This Schleich Lisa's Tournament Training is one of the top quality hand finished products from the Schleich range of horses & accessories. Your little one can train their own horses to become cup winning show jumpers with this lovely set. The attention to detail is amazing and even comes with a basket of apples as a reward! 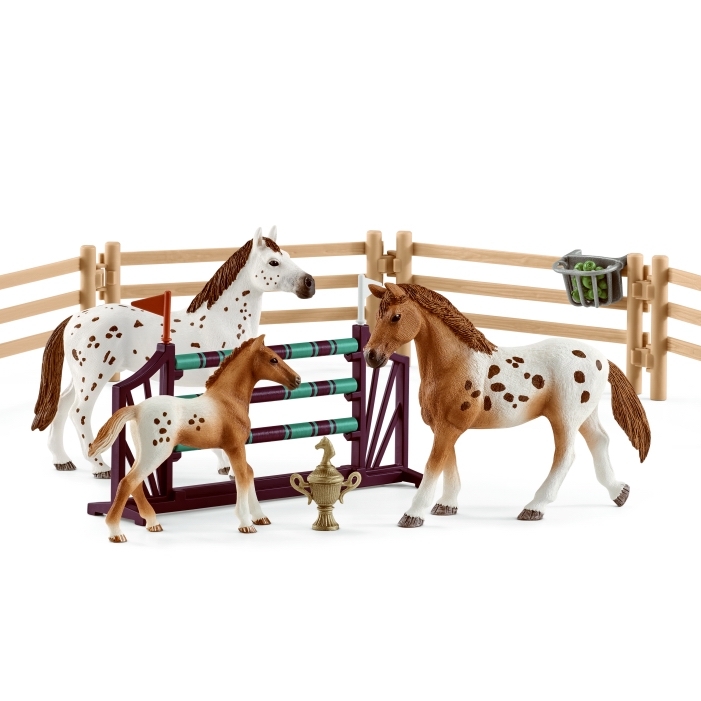 With all you need to start tournament training with your horses, this is a fantastic set with great accessories and a beautiful family of horses!